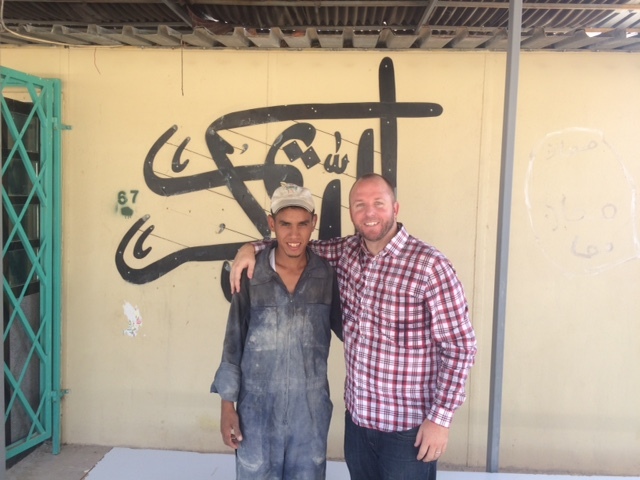 I was excited to finally get to meet Maher, a jovial 22-year-old Jordanian, brimming with all the dreams of any other young man. The unique thing about Maher, however, is that he has a severe hearing impairment. Even more unique is his determination to thrive in a hearing world and in a strong and beautiful culture that, unfortunately, does not always honor those with physical challenges. I had heard a bit about him and was eager to hear his story. Deep in the heart and the heat of the Jordan Valley, a stone’s throw from the Dead Sea, we sat down in a small room on a couple of wobbly wooden chairs. Maher’s smile was cheerful and his eyes a bit shy at first. As I began to ask him questions, he leaned in intently, in order to read the broken Arabic on my lips. He then loosened up and began to freely share his story of overcoming his challenges. Maher is one of five children, the only one with a severe hearing impairment. Pain darkened his face as he recalled how even his family could not understand him as a young child and how he was always silent and alone in the house. He tried to study in public schools, but because they were not equipped to deal with his challenges, he was unable to learn. 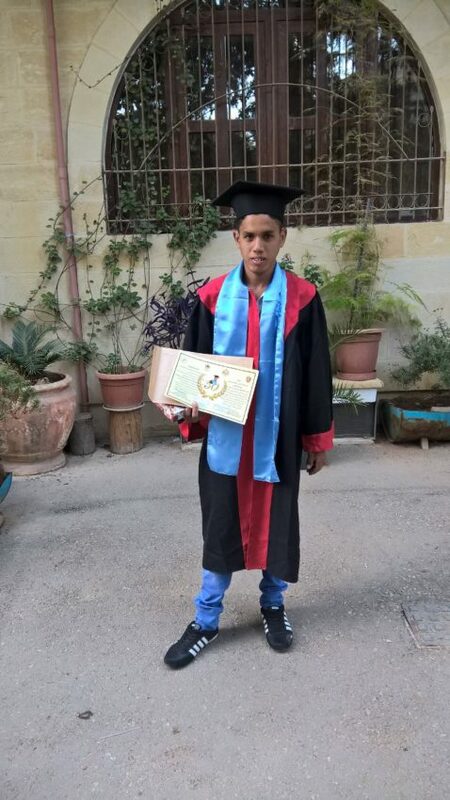 Maher’s dark brown eyes brightened, though, as he remembered being in sixth grade and transferring to study in the Jofeh Community Rehabilitation Center for Children with Special Needs, a part of the network of Jordan’s Holy Land Institute for Deaf and Deafblind children. He began to come alive with the support he felt from the community there. They even fitted him with hearing aids to help him engage in the world outside of him, but he refused to wear them as they were uncomfortable. Neighbors and kids outside of the Center would make fun of him. The weight of shame kept him from adjusting to the new devices. Then one day when he was out playing, he didn’t hear a car that was coming quickly in his direction. His eyes widened when he explained how he was nearly hit but escaped with his life. This was a turning point for young Maher, as in his panic, he realized that he could’ve been killed. He also realized that had he been wearing his hearing aids, he would’ve heard the car coming, so he decided immediately to wear his devices from that day forward. He soon got used to them. When he was 20, he studied metal-working, carpentry, and maintenance skills at the Holy Land Institute for the Deaf in the Jordanian city of Salt. He was thrilled to be able to get a solid education and learn a trade that prepared him for employment in the real world. 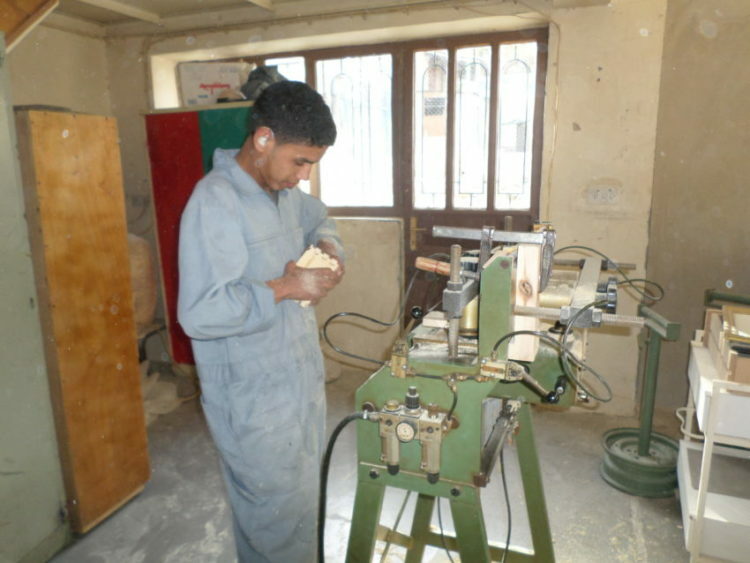 He is now responsible for maintenance and vocational training, his own workshop in the Jordan Valley where he trains new students in skilled trades. When I asked Maher how the hearing aids changed his life, he had a long list. He said he used to shy away from guests who came to visit his family, but now he leans in, wanting to engage in the dialogue and learn more. He said he’s now comfortable and confident around people, even to the extent that he recently went for a barbecue with all hearing friends and didn’t feel ashamed. He also remarked at how he can engage in the professional realm, hearing his co-workers, hearing the sounds of the machinery, and even hearing oncoming danger. Then he proudly told me that a year ago he got married to a hearing lady who is presently learning sign language so they can communicate better. They recently had a healthy baby boy, a mark of honor in Arab culture. What triggered Maher to smile the most broadly was when, at the end of our time, I asked him what his parents thought of him. The stigma a family carries when a child has a physical challenge in this culture is heavy and sometimes unbearable, from fear of accidents some parents do not allow their disabled child to leave the house. Maher however, beamed with satisfaction when he told me that his parents are very, very proud of him. With his head held high, a firm handshake, and a traditional kiss, Maher and I parted ways. He left, honored with the chance to tell his story. 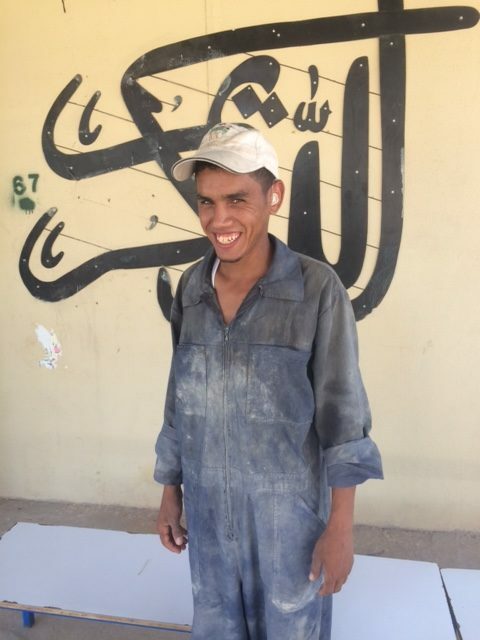 I left, inspired and reinvigorated to persevere in the vision of 3dp4me – to bring the gift of hearing to thousands more in the Middle East so more lives can be changed like Maher’s was. ← When is the last time you got good news from the IRS?